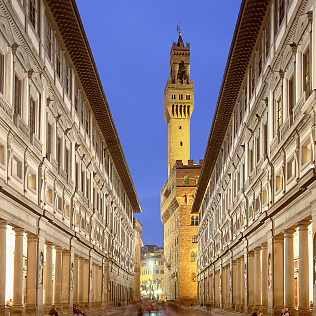 Also in 2016, during the summer the Uffizi Gallery will follow different opening times. The evening openings allow visitors to enter the museum from 7pm to 10pm. The initiative will take place from May 31st to September 27th, every Tuesday. The initiative, in fact, is linked to another one, called "Tuesday night at the museum": every week, the Uffizi Gallery will host special activities related to literature, music, dance and theater. The evening openings have also taken place in recent years, and they have been successful, because they allow visitors and art lovers to watch the Gallery masterpieces in a different context and in very fascinating atmosphere . Even the Accademia Gallery, as of May 10, will follow new opening times, every Tuesday. The calendar of events will be announced in the coming weeks.